I’ve done a few quick throw together easy weeknight pasta dishes now (see Creamy Salmon Pasta, Cheats’ Carbonara and Spaghetti with Pancetta, Mushrooms & Veg) and you really can’t beat a pasta dish for a dinner that you can throw together quickly and easily out of simple ingredients that will taste really satisfying and amazing… so I’ve done another one. Using a couple of store cupboard ingredients with some fresh veg thrown in for good measure, this really couldn’t be simpler. Smoked mackerel is a great thing to throw in your weekly shop as a really great tasty ingredient for lunchtime salads or to throw into a quick weeknight dinner. 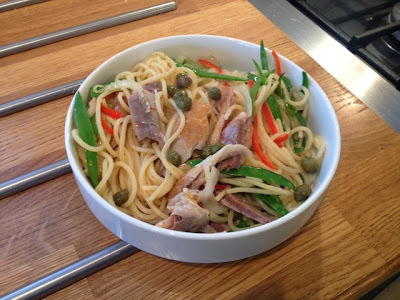 I’ve thrown in some capers as I think they really compliment the oily fish, but if they’re not your cup of tea they can be an optional ingredient. The flavours of the capers and the mackerel are quite strong so you really don’t need any sort of thick or overpowering sauce here. Throw in some fresh veg, season well and let the ingredients speak for themselves. 1. 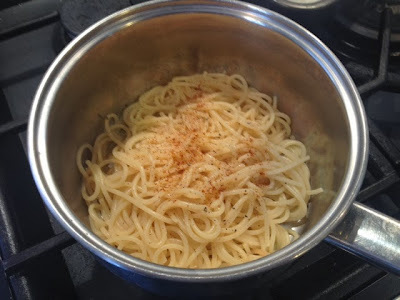 Put the spaghetti on to boil in a large pan of salted water. 2. 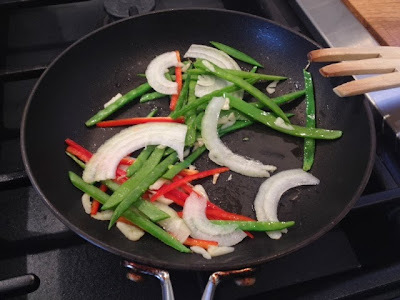 Meanwhile, gently fry the onions, beans, chilli and garlic on a low heat until softened but still with a bite. 3. 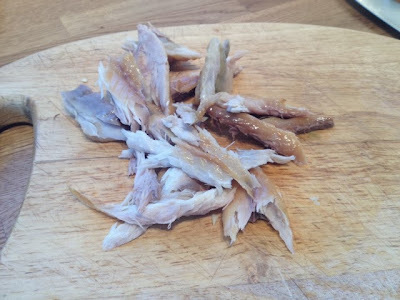 Break your mackerel fillet up into flakes, removing any bones as you go. 4. When the spaghetti is cooked, drain. Drizzle in a little olive oil and add a dash of chilli powder, salt and pepper. Mix through thoroughly. 5. 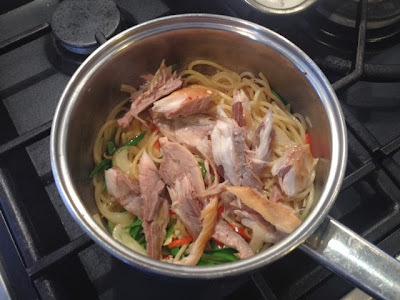 Throw your mackerel, veg and capers into the spaghetti and mix it all up. 6. 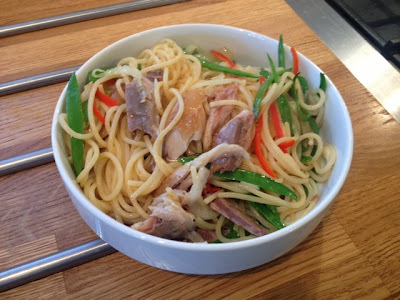 Dish up and enjoy a really tasty meal that you’ve put together in a matter of minutes!